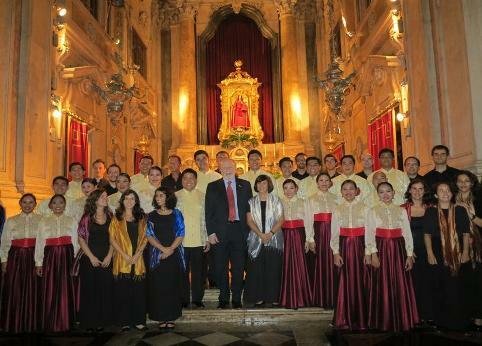 Philippine Ambassador to Portugal Philippe J. Lhuillier warmly welcomed the Philippine Madrigal Singers in Lisbon, Portugal. The award-winning group is set to do a series of concerts as part of their European Goodwill Concert Tour. Ambassador Lhuillier aims to build strong economic, social, and cultural ties between the Philippines and Portugal. Prior to his posting in Portugal, Lhuillier served in Italy for 11 years.